Straight up: I love Chez Ben. I’ve been several times and it became sort of my “go-to” place for pre-hike food while I descended upon Manchester and Vernon to “complete” all of their trails in 2016. Open at 6 AM on a December Sunday. For that alone, I love this place. 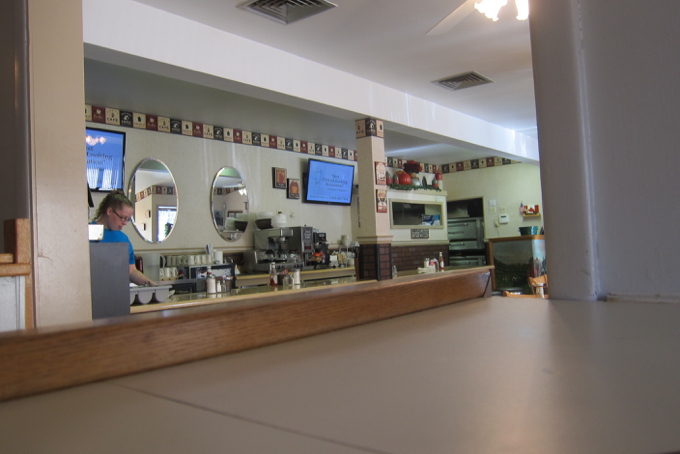 On the surface, it’s a homey, inviting, fairly ordinary little diner just off of the interstate jumble near the East Hartford-Manchester line. And as a homey, inviting, fairly ordinary little diner, it’s fantastic. Non! Chez Ben est beaucoup plus! La cuisine Québécoise! I’m pretty certain Chez Ben is Connecticut’s only French-Canadian restaurant. Oh sure, you can get poutine now at a bunch of trendy places around the state, but you’re not going to find cretons, guedilles, or tortiere anywhere else in the state other than in French-Canadian kitchens. And besides, when you get poutine elsewhere, they call “poo-teen.” Not only is this wrong, it’s laughably wrong. Poutine is a Quebeçois dish. And in Montreal and Quebec (etc.) 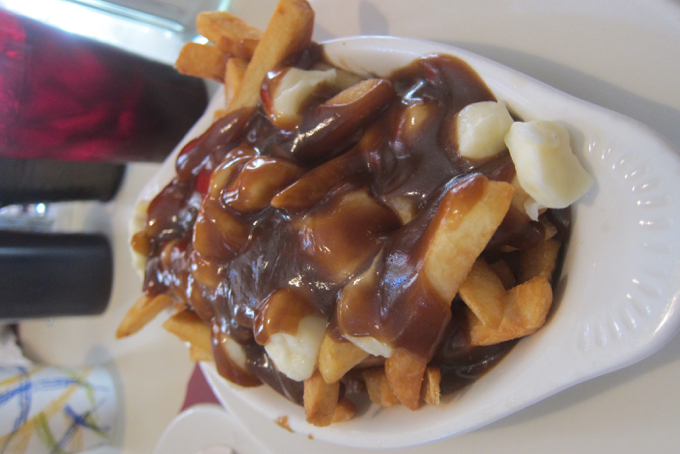 poutine is “pou-tin” or “pu-tsin.” Like this. Even though you’ve been pronouncing it wrong, you surely know what poutine is by now. It’s low-brow, high-fat, fast food- despite the fact that you paid $15 for it at whatever cool restaurant you went to. French fries, fresh cheese curds, and brown gravy. Poutine. Done. 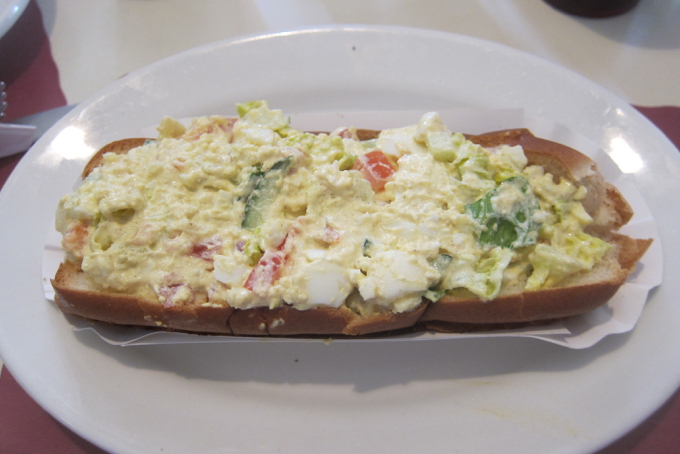 A guédille is another Quebecois fast food item – just an egg salad sandwich with chopped up lettuce and tomato on a grilled hot dog bun. 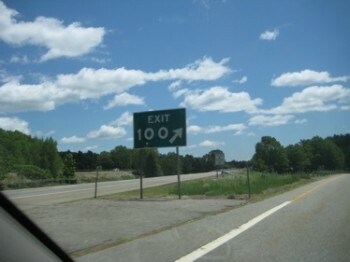 It’s good but, you know, it’s not all that exciting. (In the Maritimes and other places, perhaps in Maine, there exists a guédille au homard, which is a lobster roll. You won’t find a lobster roll at Chez Ben. 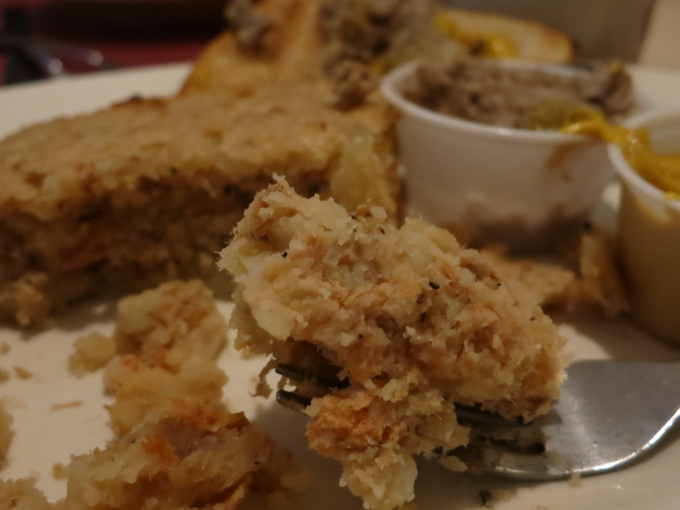 But you will find salmon pie and meat pie (tortiere) and something that will probably evoke some foodie bloggers to say “nomz” somewhere: Fried Canadian cheese curds. 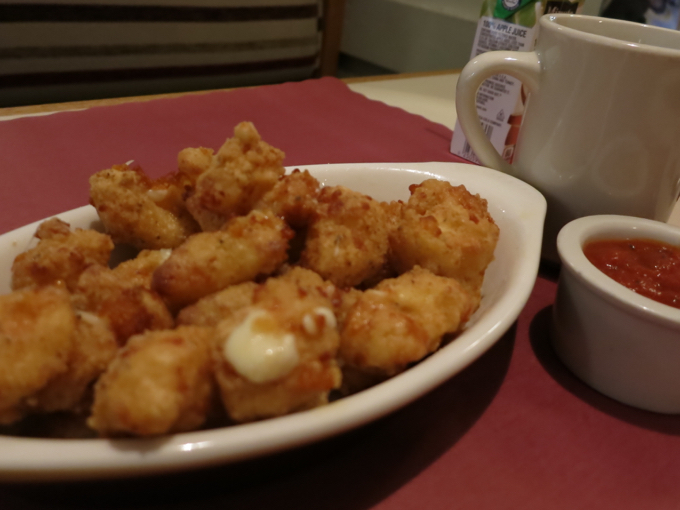 This last one is… um… fried cheese curds. I had the salmon pie and it was quite delicious. You have to really like salmon though. This thing is salmony. But what else would you expect from something called salmon pie? Sheesh. The proper way to eat creton is to spread it on toast with some mustard. I love mustard, so I gave it a whirl. 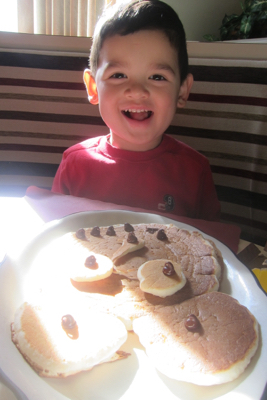 I began speaking French to my son. I regaled him with stories of my collegiate trips to Montreal and how my friends and I used to go there and [redacted] and crazy [redacted] OH MY GOD and [redacted], seriously. Those were some good times. To my beautiful Hoang, to whom I proposed atop Mont Royal in Montreal, just kidding. Creton is good, if you’re into meat spreads and mustard. 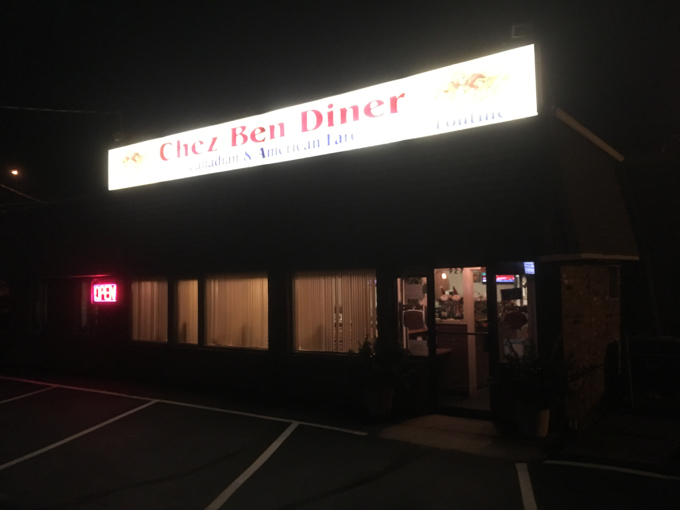 Rest assured, Chez Ben serves all of your typical American diner favorites as well. 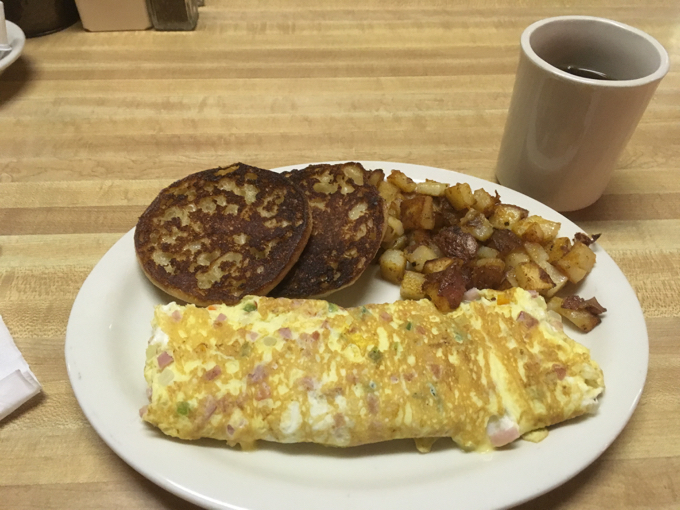 They bang out some great omelettes and pancakes and burgers and all that stuff – though all do offer a Canadian bacon option. 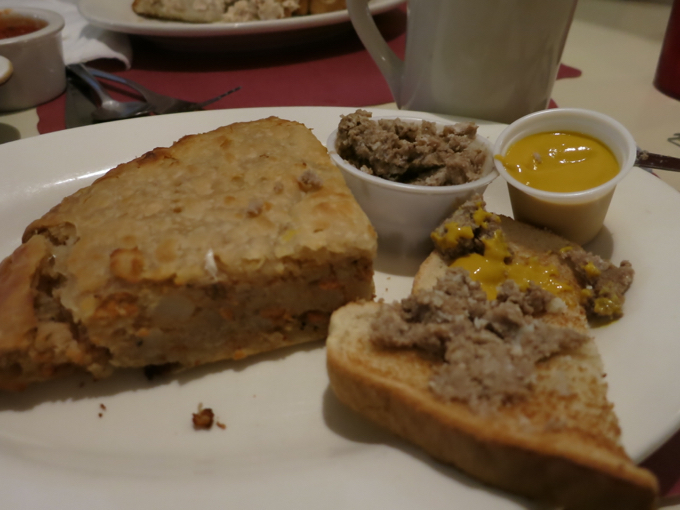 They do have a “Quebecor Omelette” which contains creton and mustard which… I’m not sold on that one. I’m sure the American dishes account for 85% of their sales, which is obviously important to them. Let’s be honest; I’m not sure a restaurant could survive in Manchester, Connecticut on poutine and meat spreads alone. The staff here is famously nice and attentive. They open at 6 AM seven days a week, which is always nice for weirdos like me who prefer the early hours. And that’s pretty cool since I used Chez Ben as a focal point for my Hockanum River trail hikes. My circle is complete.